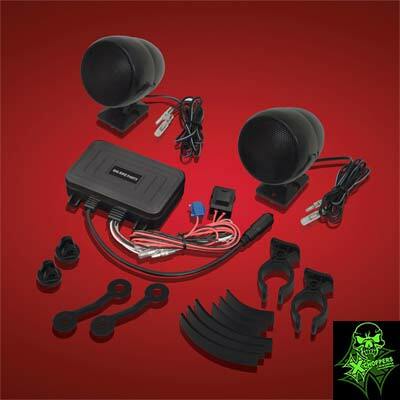 The next generation in handlebar stereo audio is here from Big Bike Parts® with Bluetooth Connectivity in their market leading Waterproof Sound System. Easily pairs with your Bluetooth device, while also retaining a 3.5mm Universal Aux-in connection for non-bluetooth devices allowing the use of your iPod, MP3, Satellite Radio or other hardwire plugs. Available with custom engineered 2 1/2” big sound speakers in Black, with a Bluetooth compatible 40w waterproof amplifier. 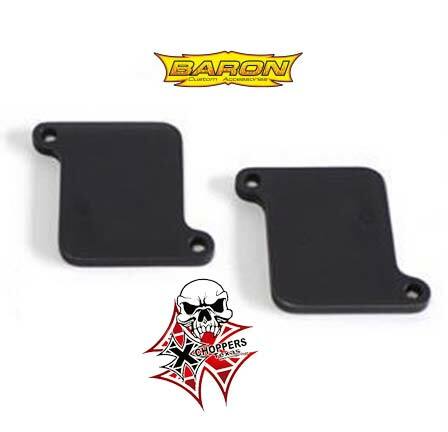 Universal clamps for both 7/8” or 1” handlebars and mirror mount brackets for alternating mounting.